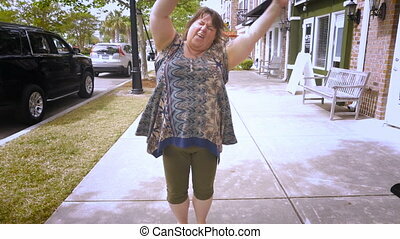 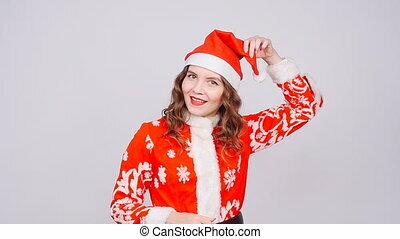 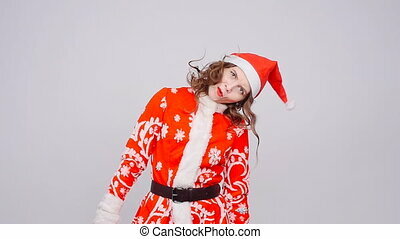 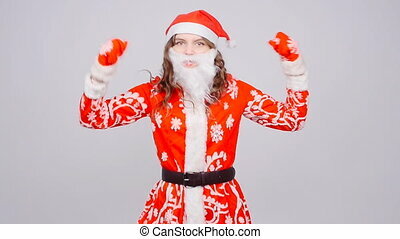 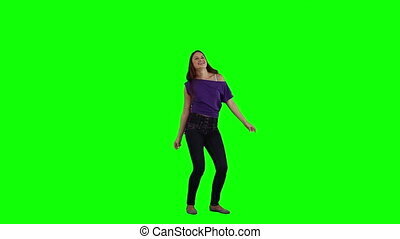 A smiling woman is dancing. 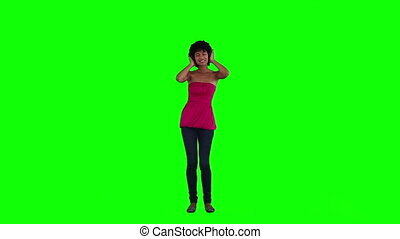 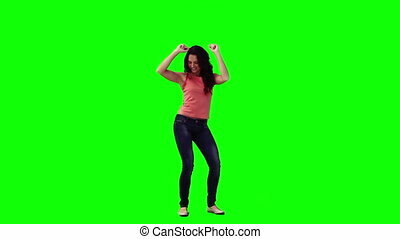 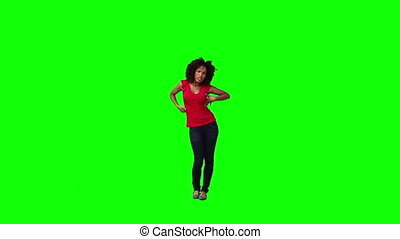 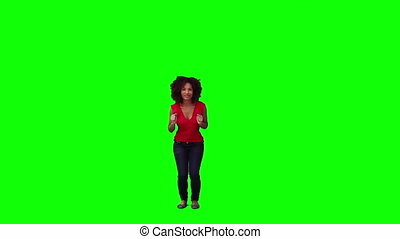 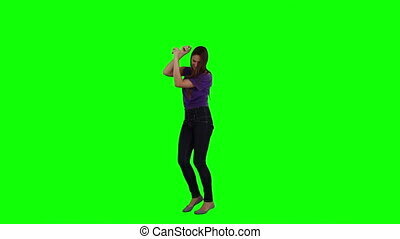 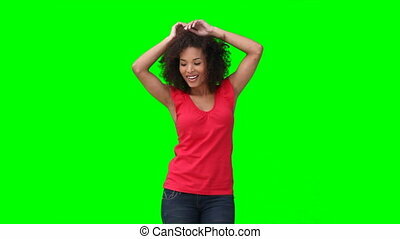 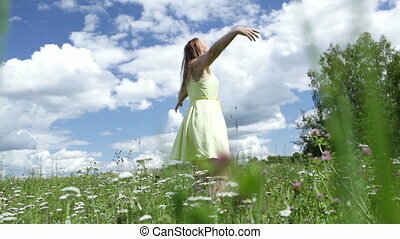 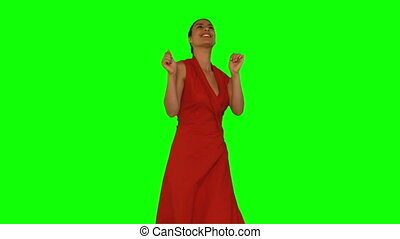 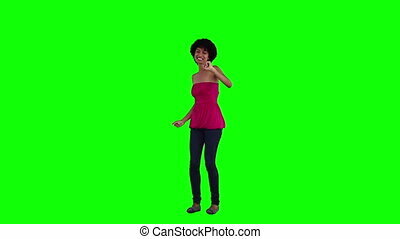 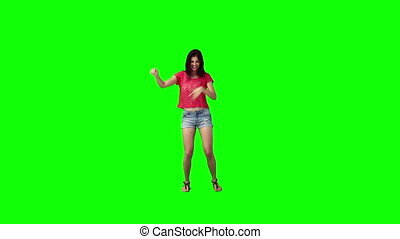 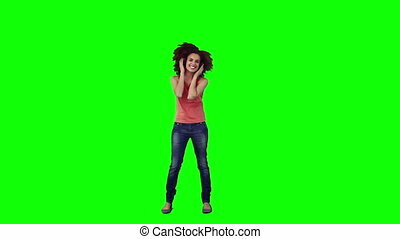 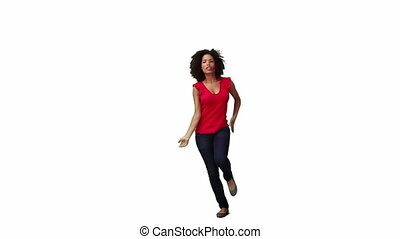 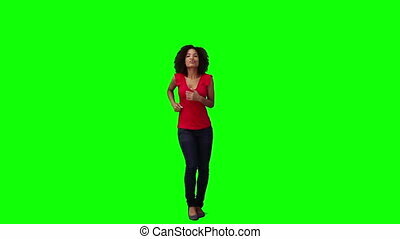 A young smiling woman is dancing against a green background. 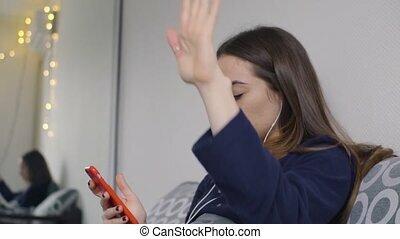 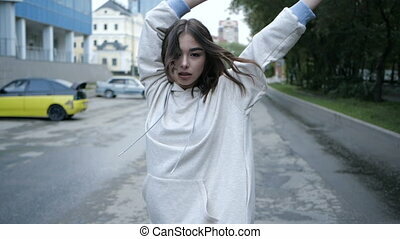 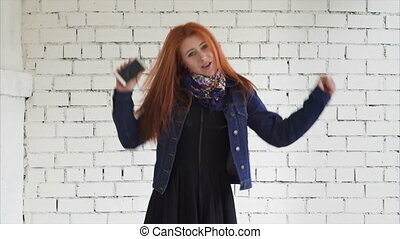 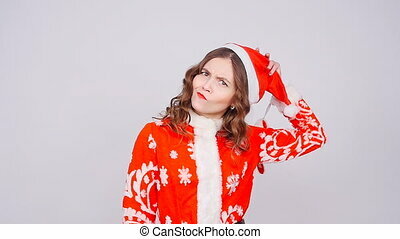 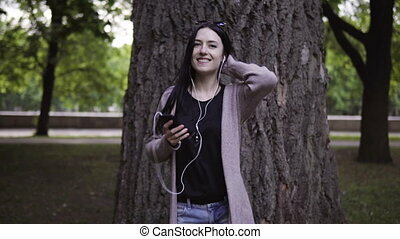 A young woman is dancing on the bed listening to music on headphones on a mobile phone. 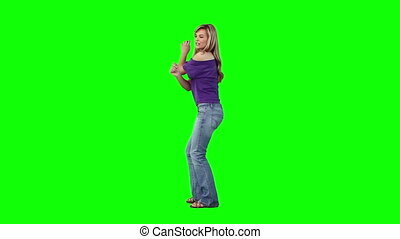 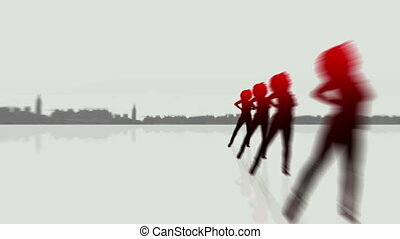 "A chunky woman hooting, hollering and dancing in slow motion celebrating how successful life is"
The young pretty blonde woman in a yellow dress is dancing among the field flowers, smiling, relaxing and enjoying life.